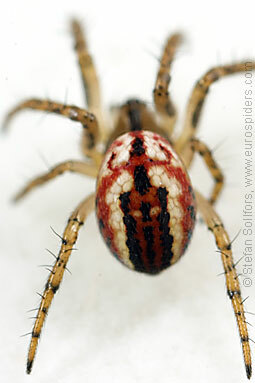 Close-up of same Mangora acalypha. 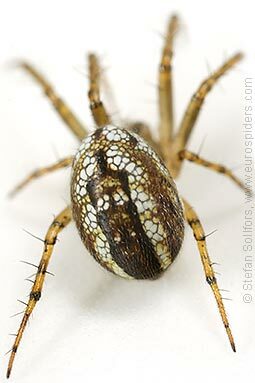 Front view of same Mangora acalypha. 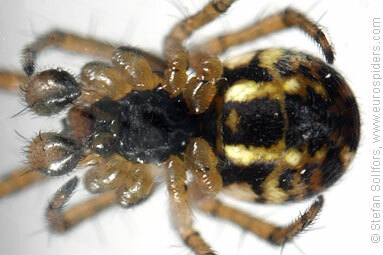 Side view of a male Mangora acalypha. 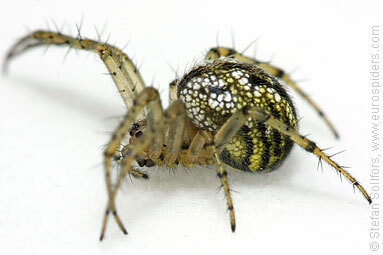 Side view of a female Mangora acalypha. 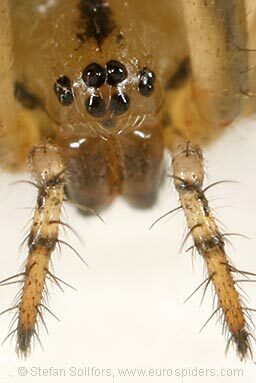 Face of a female Mangora acalypha. 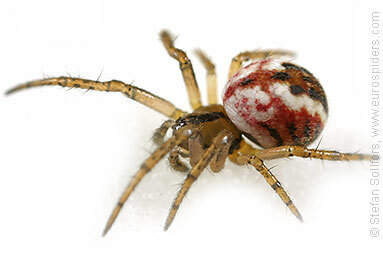 From behind, it really looks like a bottle of wine. 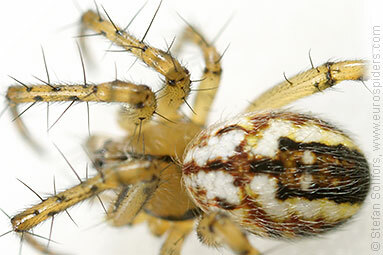 Male Mangora acalypha from below. 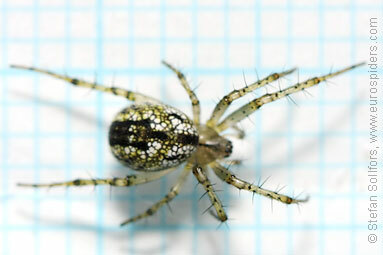 Female Mangora acalypha, about 4 mm. 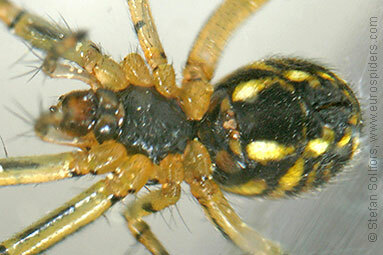 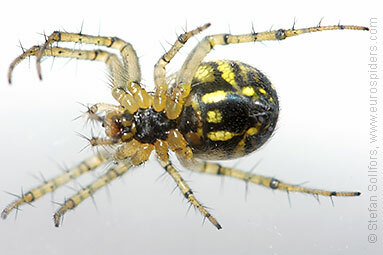 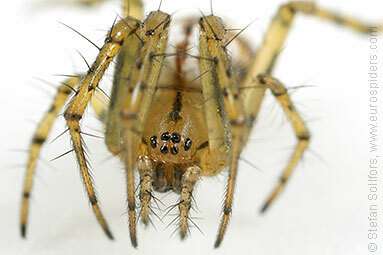 Juvenile male Mangora acalypha, about 2,5 mm. 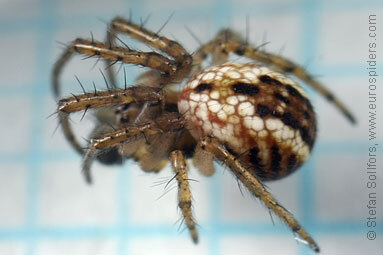 Female Mangora acalypha hanging in its wet orb-web on the top of a vulcano crater around Sete Cidades. 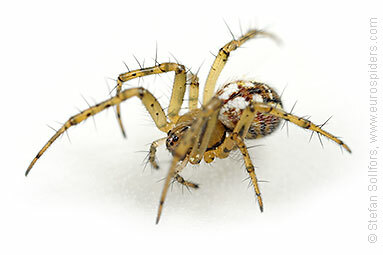 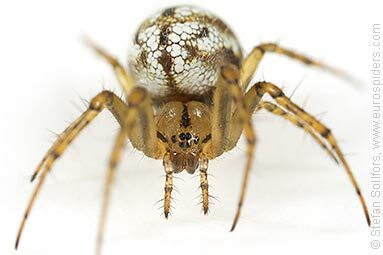 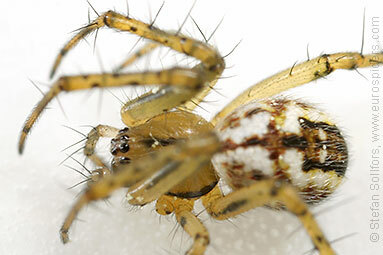 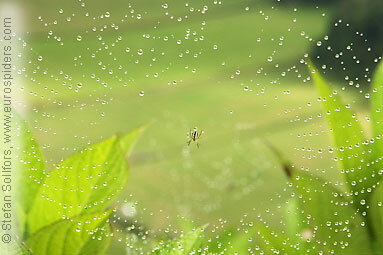 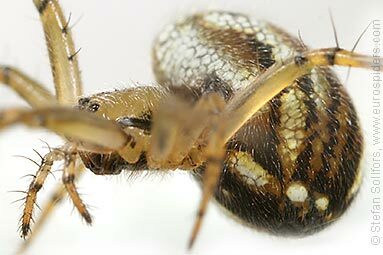 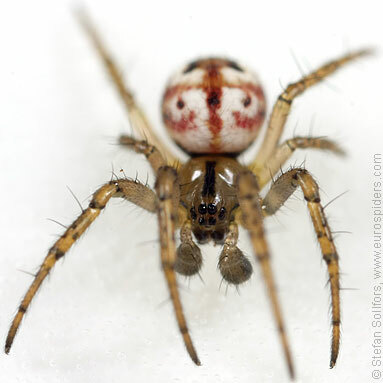 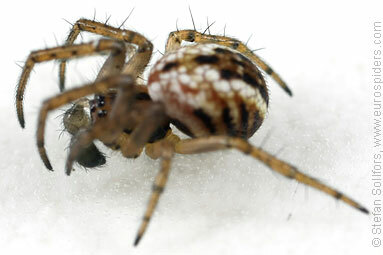 Mangora acalypha, a small orb-weaver.